My relationship with food has been a dark and stormy one. I can remember the day that I started using food to substitute dealing with emotions. I can also remember growing up in a household with a mother that was battling her own demons with food, so the habits I learned, weren’t exactly the best ones. Now, before you all jump on the “Don’t blame your mother” bandwagon, she will be the first to tell you she didn’t set a good example in the eating habit department. I ate to my emotions. I was happy, I ate. I was sad, I stuffed the sadness down with food. I did a good job, I celebrated with food. I was angry, I ate. If there was an emotion, I ate. A recipe for disaster developed. Over the years as I became more and more ashamed of my eating habits I began to hide them and the more I began to hide them the more they began to scare me. Food has had a powerful hold over me for many years. I go to the grocery store, determined to only get the good stuff and as I am putting the groceries away at home I am putting away ice cream, trying to remember how it got into the basket. I go unconscious around food and this is scary. In working with Emilia, one of the things she does is request I keep a record of everything that I eat, and submit it to her weekly. I’m certain she can write an entire post about her frustrations in getting me to be consistent at this task, because I most certainly am not. Accountability around what I eat has never been existent for me before so I am being forced to deal with all these feelings of shame and guilt around my eating habits. Feelings I have spent years stuffing, avoiding and covering up. I am no longer allowed to go unconscious. I would deal with the shame and guilt when I would start a new diet or make a new commitment to my health that would eventually fall to wayside when the emotions became too much, so what now? 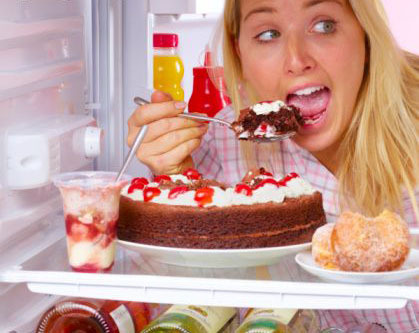 What has to change to change my eating habits? My answer….I don’t know. My post Relationship to Self, plays a big part in this too. The conversations you have with yourself in your head need to remain positive. Your goals need to remain at the front most part of your brain and your will and determination to not give in to the temptation has to be greater. I love Bob Harper’s expression “Skinny Tastes better than Fat” and Jillian Michaels “Unless you puke, faint or die…keep going”. These are on post-its on my mirror in the bathroom. This path of consciousness is just one I am starting to walk, I’m certain it will be filled with wins, losses and epic fails, but I am excited to walk it with all of you. There are times in our lives where our responsibilities can get overwhelming and we are left to prioritize what gets done first, what moves to the bottom of the list, what gets taken off altogether and then, once this list is complete we start to address our willingness to get to work and at times, procrastination to move forward with the list. I have been saying for the last few months that my health, eating healthy and exercising is a top priority for me. I have invested the money in a personal trainer so you’d think that it really is a top priority for me…wrong, it hasn’t been. I’ve been doing good, don’t get me wrong, but there is definite room for improvement. I suffer from, what at times feels severe, case of procrastination. The most popular phrase running through my head is “I’ll start tomorrow.” This is how I have been, especially the last couple weeks. I did go through some health issues in June, which was the perfect excuse to coast for a couple weeks, but I have been perfectly fine to continue with my health and weight loss journey. Then some stuff came up at work, then a vacation to visit my brother and nieces in Prince George, then more stuff at work and then……there is always going to be something. I will always have the perfect excuse not to make this a priority. Ever notice how when something falls into the urgent/important category you seem to pull it off with super human speed, strength and stamina? Why is it that we wait until this moment to get it done and at what cost does this procrastination come? Is it really worth it? The consequences of me not making my health and well-being a priority are to great not to. Really…what am I afraid of? Even as I think about typing this it makes me nauseous, but I am going to write this entry regardless. On Saturday evening I had the pleasure of enjoying the fireworks with my dear friend AL at Vanier Park. We were sipping our “grape Kool-Aid” (aka red wine) from out Nalgene bottles when a family sat down not that far in front of us. A girl was with them and she was struggling to fit into the camp chair and it was wicked hot out and she was wearing jeans and a purple long sleeve pullover, I knew what she was doing, done it many times myself, cover up, hide and maybe people won’t notice you. I felt sad for her. I started having a conversation with AL as the events unfolded in front of me and AL asked me “What do you see when you look at her?” My response was me, I see me. She then asked “Do you think that is how big you are?” My response “No, maybe a little bigger” AL said “Wow, your relationship to yourself is way skewed, let me point out someone who you actually look like.” She proceeded to point out an older lady, stating that I maybe had 20lbs on her. I believe I called her a liar and told her to stop smoking the crack, but for the rest of the evening I couldn’t help but stare at the lady she pointed out wondering if that was what I really looked like. As I move along this path I am realizing that training the body is the easy part, the hard part is retraining your mind and developing new, more empowering beliefs in yourself. My post today is all about integrity. What does that mean exactly? It means to honor your word to yourself. Just you, no one else. If you can’t do this, how are you going to go far in life? Or help others? And what does this have to do with health and fitness? Well it has everything to do with it. In order to make healthy sustainable changes you need to make a commitment with yourself. That is exactly what Nikki had done for herself the day her and I sat down at Starbucks one Friday afternoon as we laid out her short-term health goals. 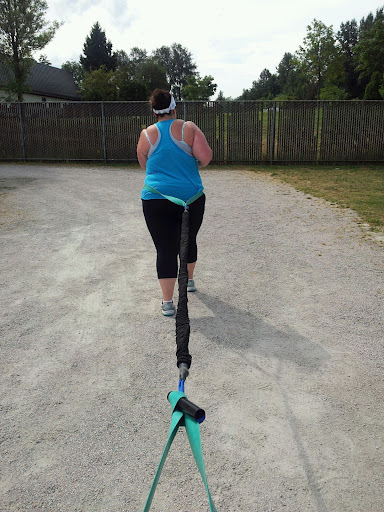 This one small step we took to set up her goals was the beginning of a push that will continue to push harder and farther as Nikki moves through her journey to her weight loss goals. The small habits that we begin to develop as we make our way toward our goals are the most important part of the process. Never underestimate their power! This is the true test to see if you are really committed to your new lifestyle you are creating for yourself. We are all on our own journeys as we navigate through life, all at varying levels but this one thing is true for all of us. This is how we can all relate to one another and understand. Our ability to commit to our inner word and do what makes us truly happy and feel alive at the end of the day. This is not an easy task by any means. There are days where you just feel like quitting and giving up, but that inner voice, your integrity it comes in and pushes you right out of that hole with a force so strong you take another leap forward. 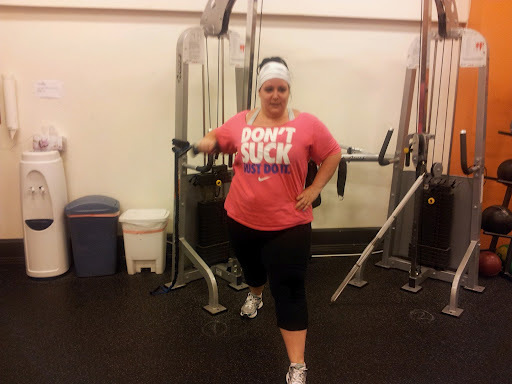 Nikki exemplified this the day we did the grouse grind, her first fitness goal completed! I believe a huge part of our inability to commit is due to the culture we live in today. It has taught us in many ways that we need to reach “perfection” and quite frankly what does that even mean? Who came up with the meaning of what this perfect body is supposed to even look like? There is no such thing! As you embark on your fitness journey take pride in every positive step you take to reach your goals. Love your inner strength and remove all thoughts of doubt and shame from your mind to make room for all those positive affirmations of success. The knowledge and skills you will develop along the way is the integrity and dignity to accomplish anything you want in life.